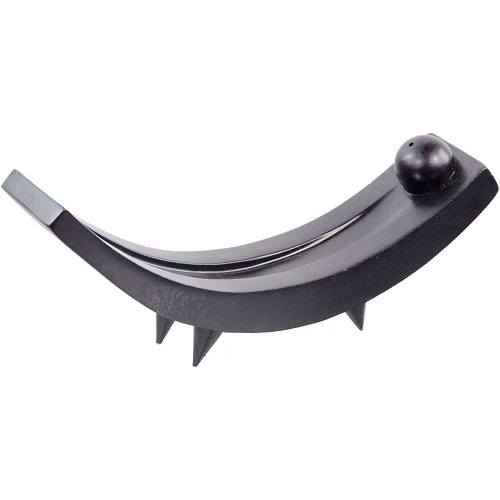 This funky curved Zen inspired incense holder has been masterfully carved from wood and has a satin black finish. Fits most incense sticks. Approximately 9" long.